Home » Blog Home » Happy Spring! The calendar and weather are finally beginning to agree that it's spring! As the daylight grows longer, we've been hearing from many of you that you're stretching your creative and planning minds as well. 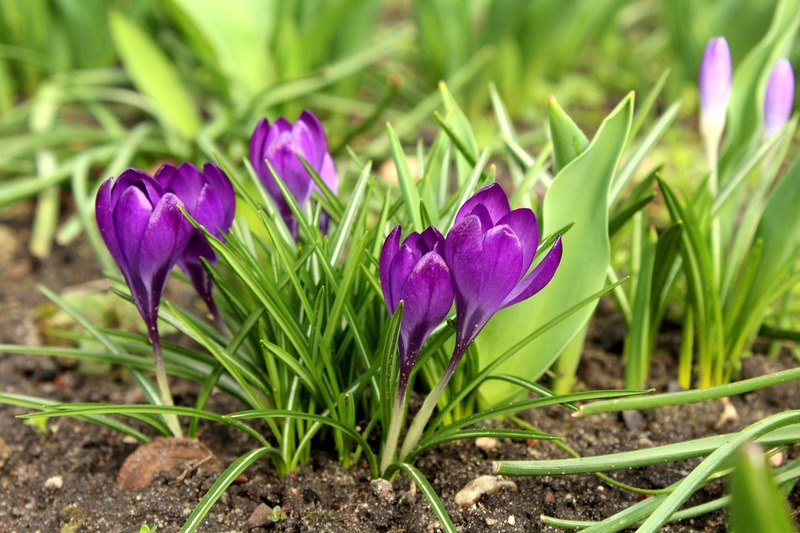 We'd like to help you as you plan your spring lessons, and even as you look forward to summer listening and reading programs. 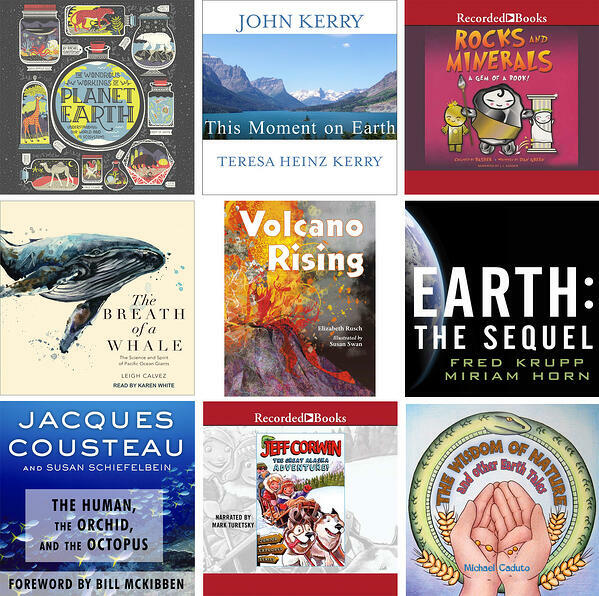 As ever, we are steadily uploading new titles and we've recently added several that are perfect for a study of nature, the Earth, and the environment. Those of you working on science units for spring will appreciate these titles about nature and this amazing planet we call home. Bonus: pollen and allergies can't keep you from learning when you can close your eyes and just listen! Making earth science accessible and entertaining, The Wondrous Workings of Planet Earth explains how our planet works-and how we can protect it-from its diverse ecosystems and their inhabitants, to the levels of ecology, the importance of biodiversity, the cycles of nature, and more. Science- and nature-loving listeners of all ages will delight in this utterly charming guide to our amazing home. A fascinating tour of the planet exploring ecosystems large and small, from reefs, deserts, and rainforests to a single drop of water-from the New York Times bestselling author of Women in Science. Leigh Calvez has spent a dozen years researching, observing, and probing the lives of the giants of the deep. Here, she relates the stories of nature's most remarkable creatures, including the familial orcas in the waters of Washington State and British Columbia; the migratory humpbacks; and the ancient, deep-diving blue whales, the largest animals on the planet. The lives of these whales are conveyed through the work of dedicated researchers who have spent decades tracking them along their secretive routes that extend for thousands of miles, gleaning their habits and sounds and distinguishing peculiarities. The author invites the listener onto a small research catamaran maneuvering among 100-foot-long blue whales off the coast of California; or to join the task of monitoring patterns of humpback whale movements at the ocean surface: tail throw, flipper slap, fluke up, or blow. To experience whales is breathtaking. To understand their lives deepens our connection with the natural world. Host of the popular television show Corwin's Quest, author Jeff Corwin offers this second installment of his Junior Explorer series, The Great Alaska Adventure. Here Corwin proves that fun can be found right around the corner, as young adventurers discover the wonderful, exciting terrain and wildlife of Alaska. 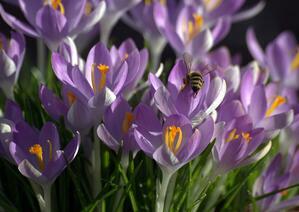 Spring flowers need pollinators! These projects will keep your classroom buzzing with learning. Don't scroll by middle and high school teachers! At first glance, these activities might sound most appropriate for younger learners, but each can be elevated and adapted for all older ages as well. Plantable paper - Part recycling, part gardening with a bonus; you can create cards or tags that your students can give as gifts! Older students can experiment with different types of paper to recycle, press their own flowers for decor, and find other uses for recycled paper pulp! Paper flowers - Paper flower decor has been a thing in party decor for a while, but even your youngest students can get in on the fun with this simple tutorial. A quick Pinterest search yields many tutorials your students are sure to like - they make great decor for school events and dances! Host a Honey Tasting - Definitely the sweetest part of busy bee life - invite your students to explore the many different flavors and textures of honey. Your local farmer's markets will be opening soon and many have vendors selling local honey. Ask for propolis, honeycomb, and other related products. They're happy to help teach students about their work. Older students can study bees, their lifecycle, and their place in nature.